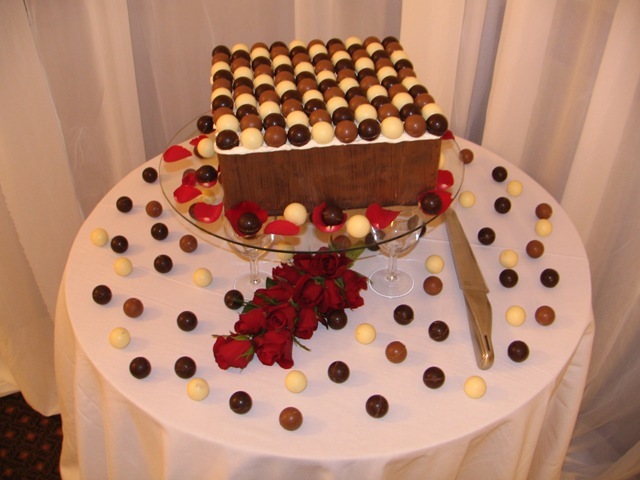 Tia Maria and Praline truffles. 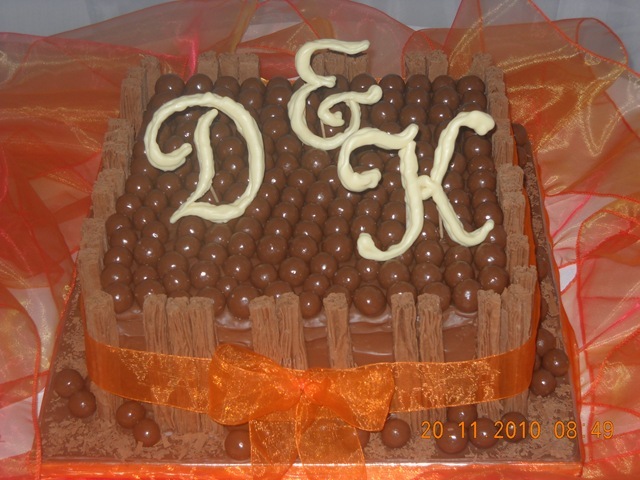 initials in dark chocolate and dusted with gold dust. 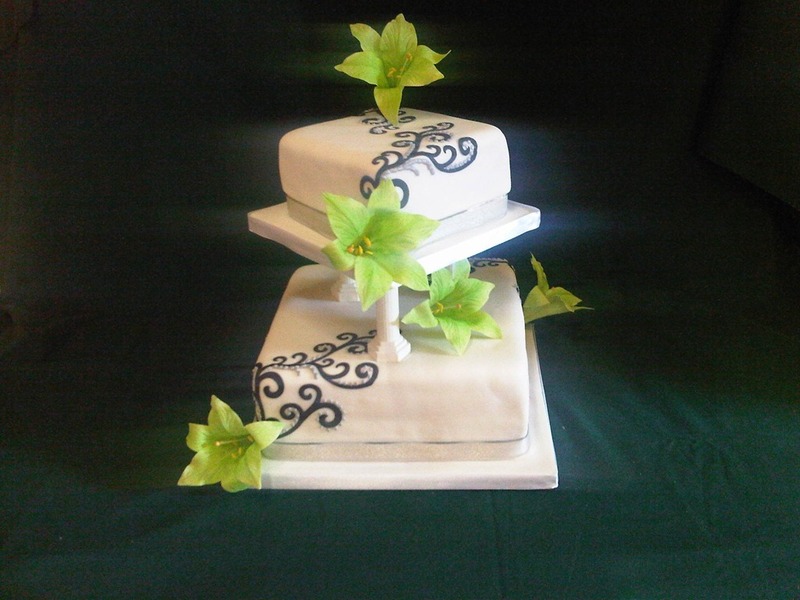 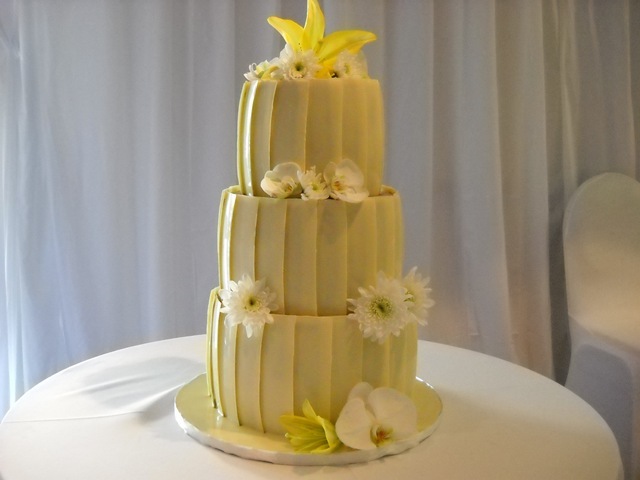 Top tier Madeira cake with white plastic icing bottom tier chocolate cake, black and silver appliqué with lime green lilies. 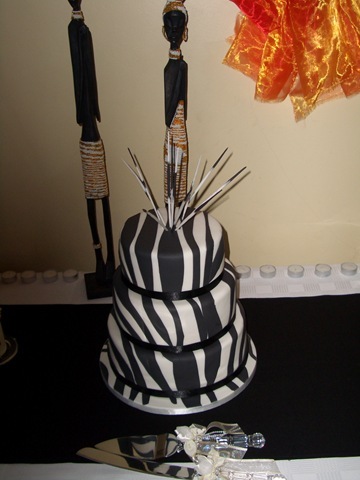 Chocolate collar with African print and chocolate shield with cream. 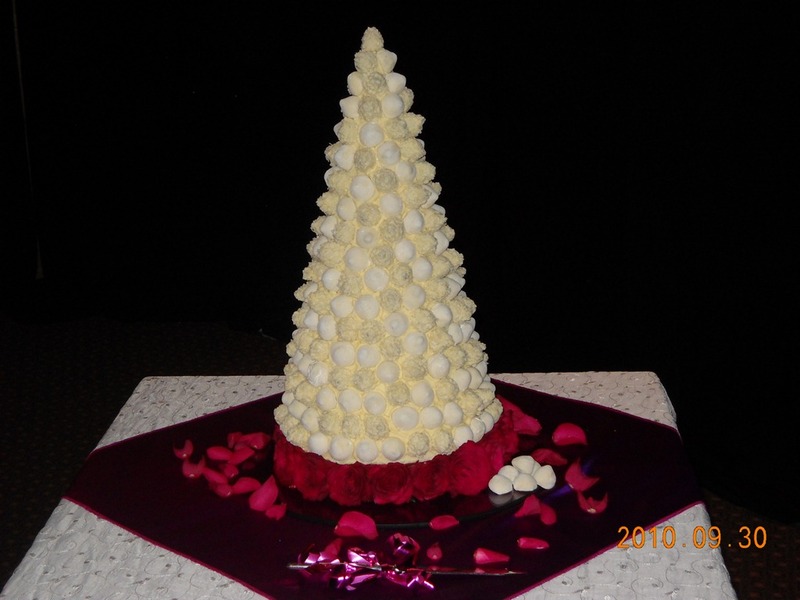 Hand crafted truffle for top tier. 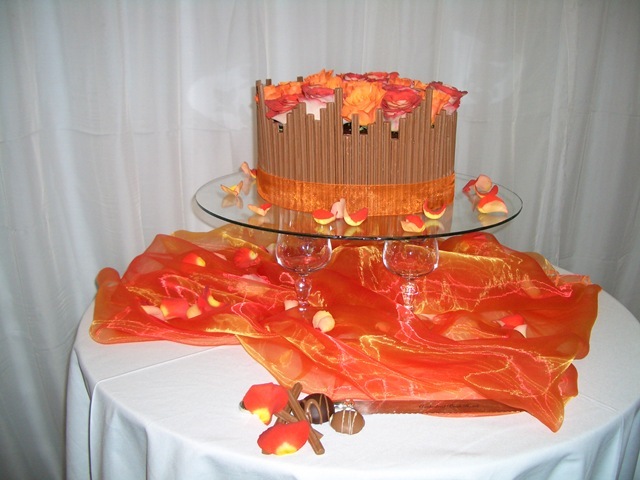 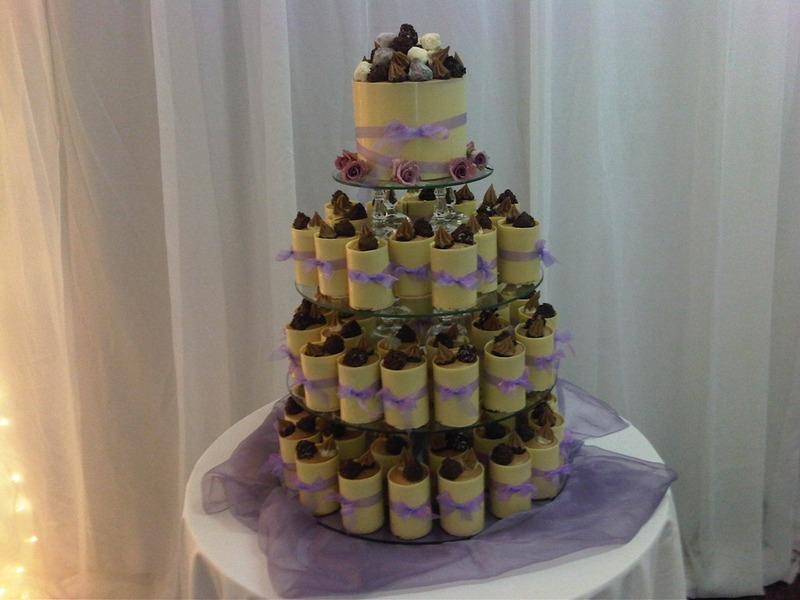 Bottom tier carrot, middle madeira and top chocolate. 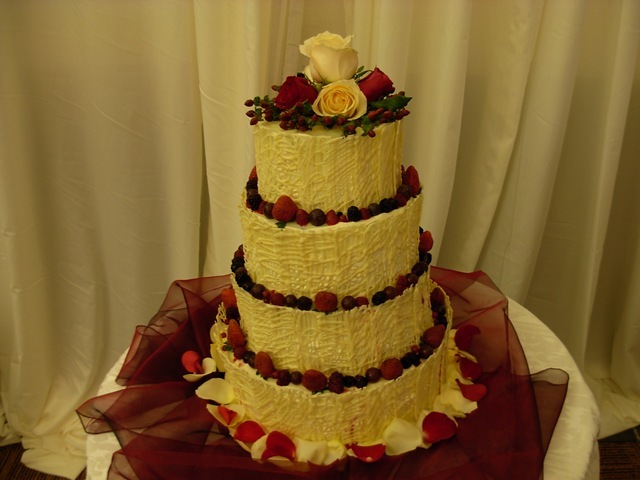 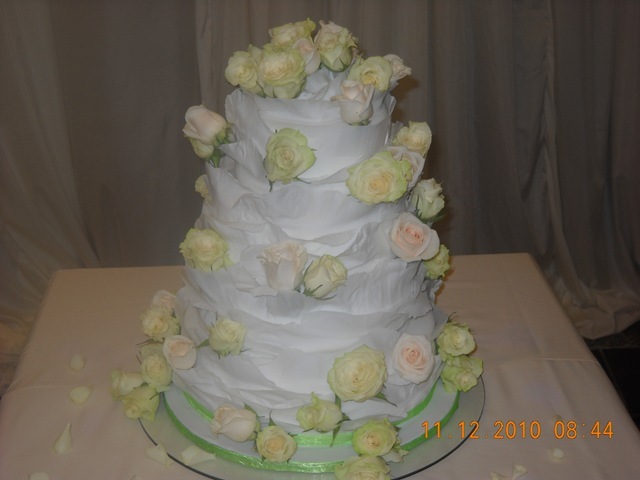 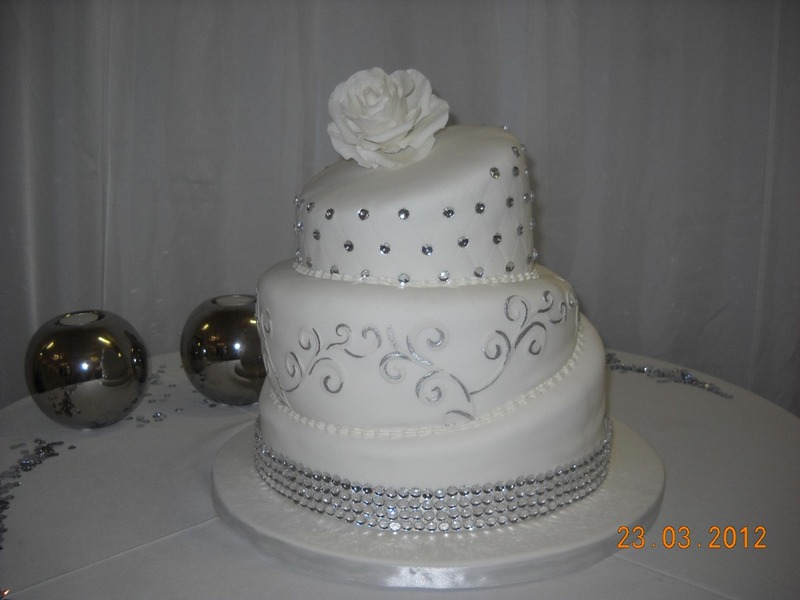 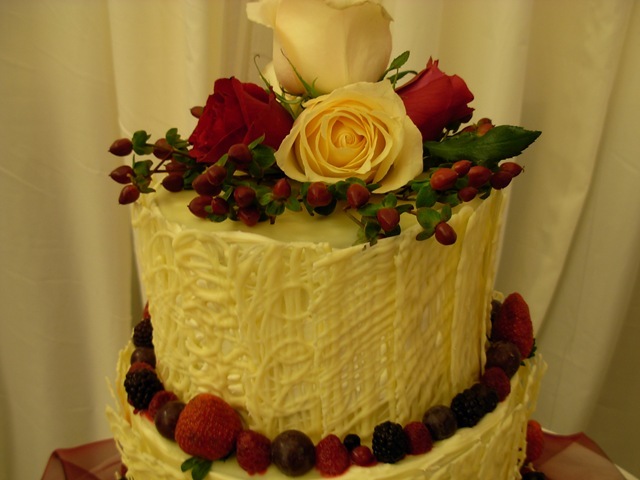 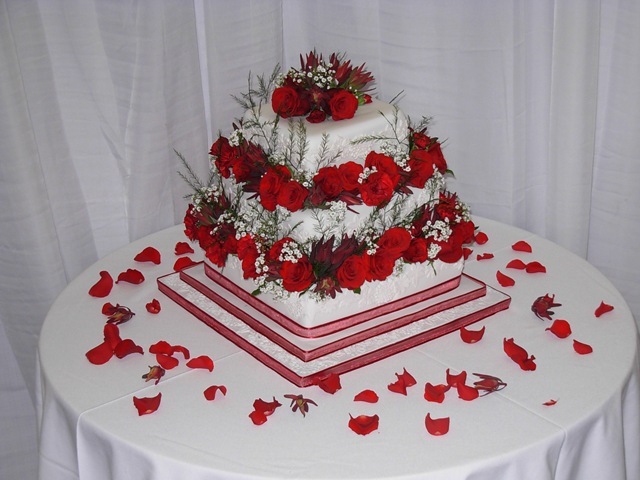 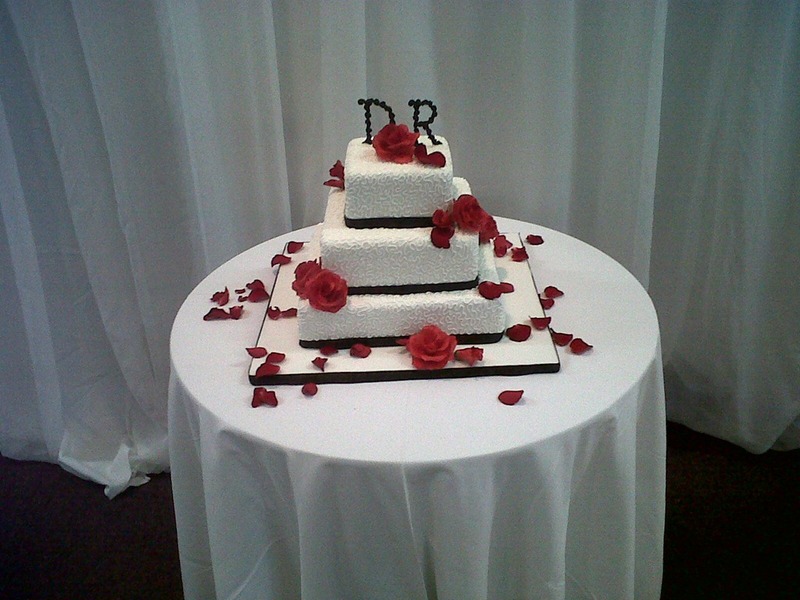 White plastic icing fillagri in white icing and red sugar roses and fresh rose petals. 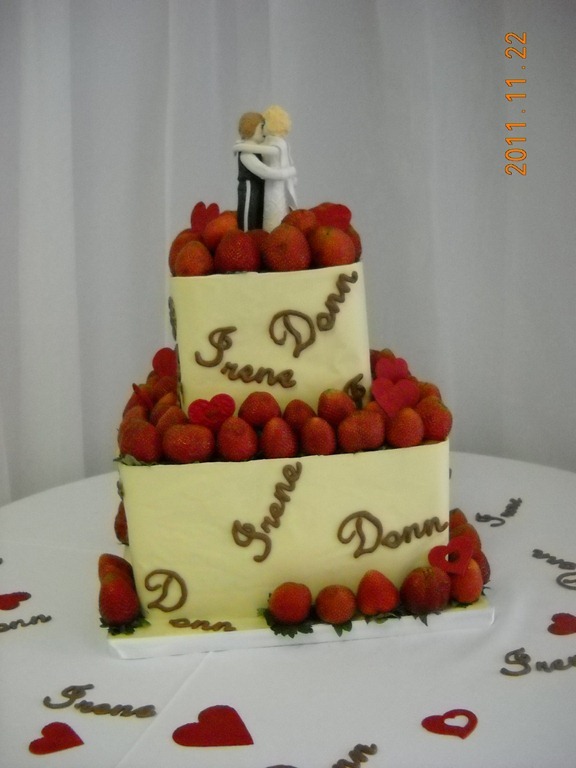 Chocolate mousse cake with strawberries and sugar figures. 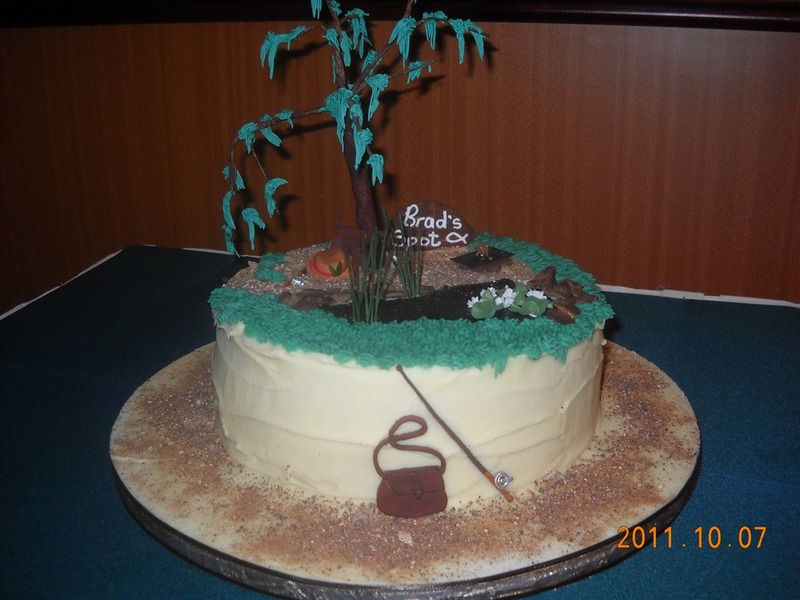 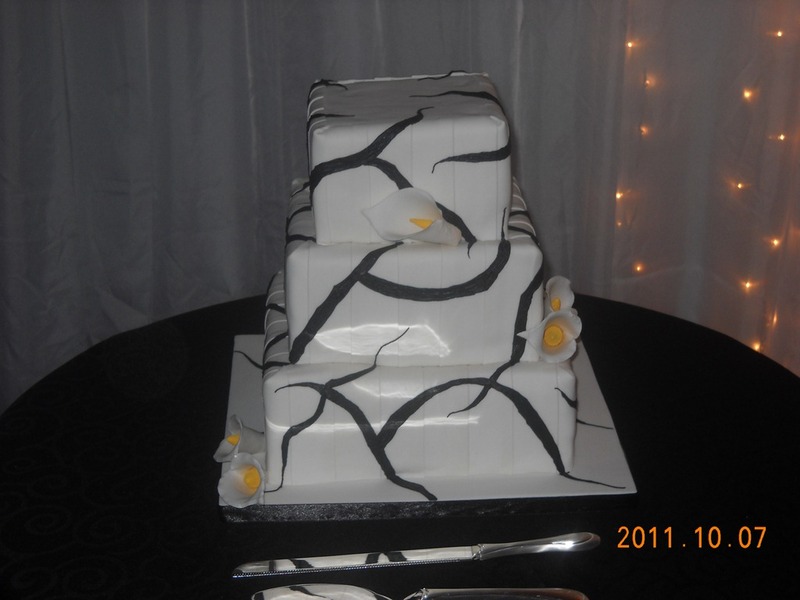 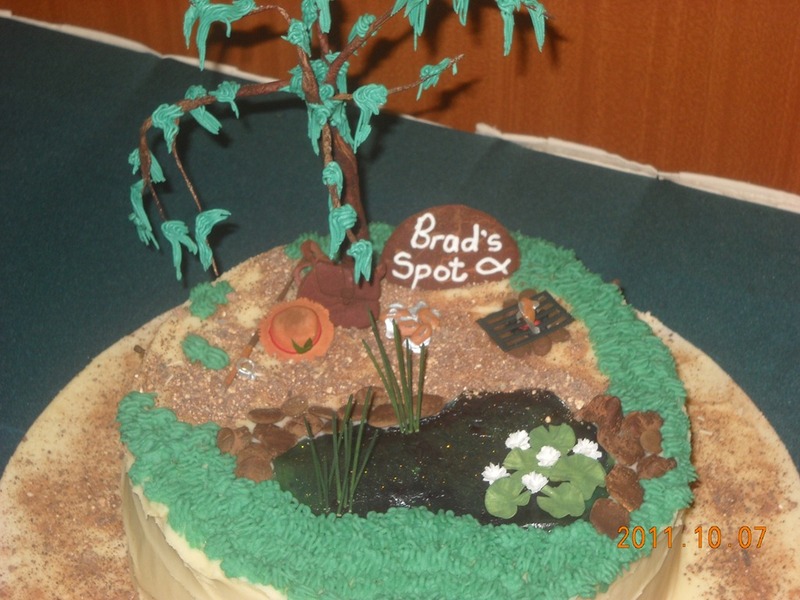 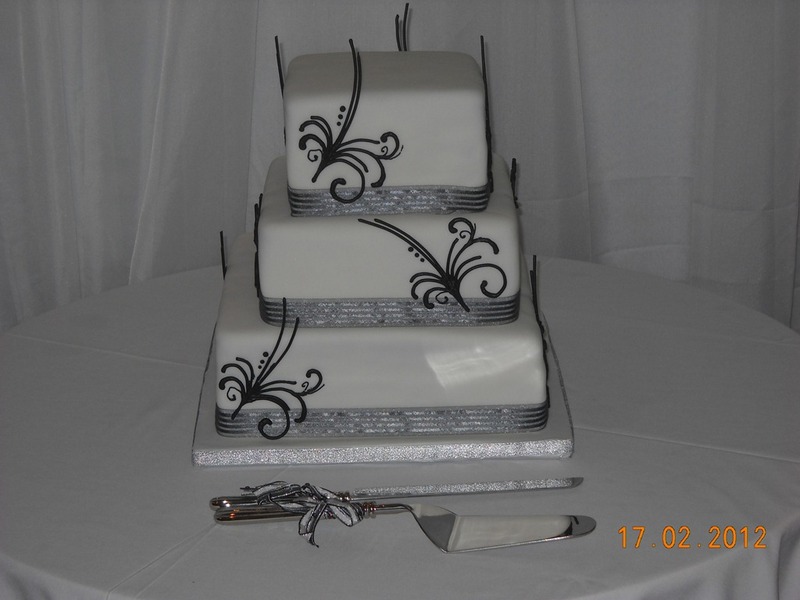 Chocolate cake with white plastic icing and black sugar design. 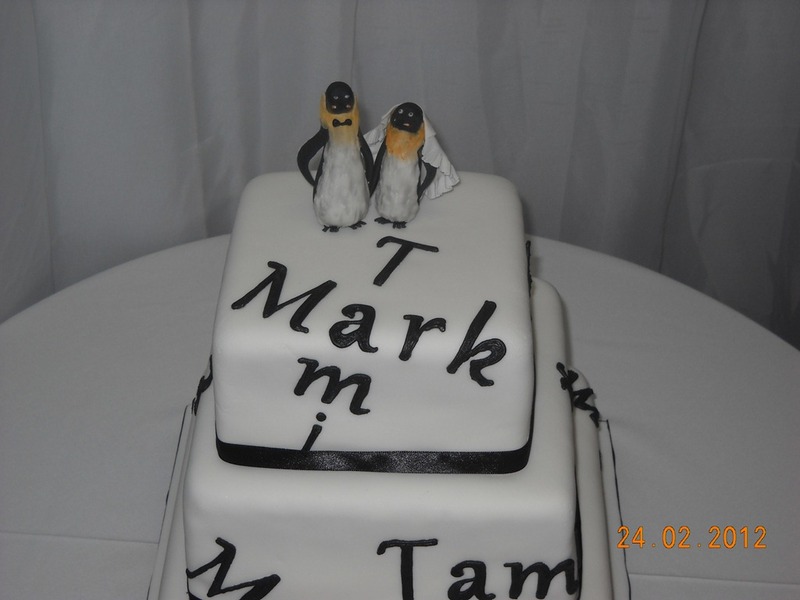 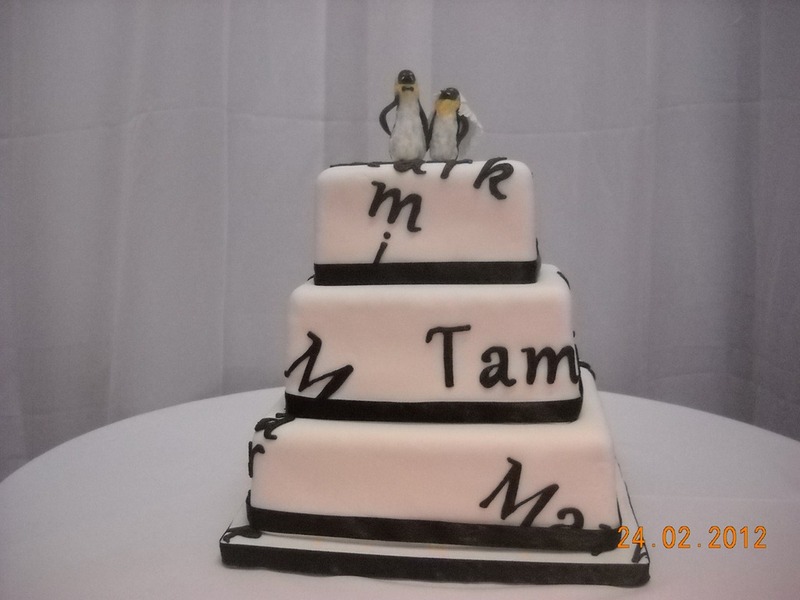 Middle and bottom tiers are chocolate cake top tier is Madeira with sugar penguins on top. 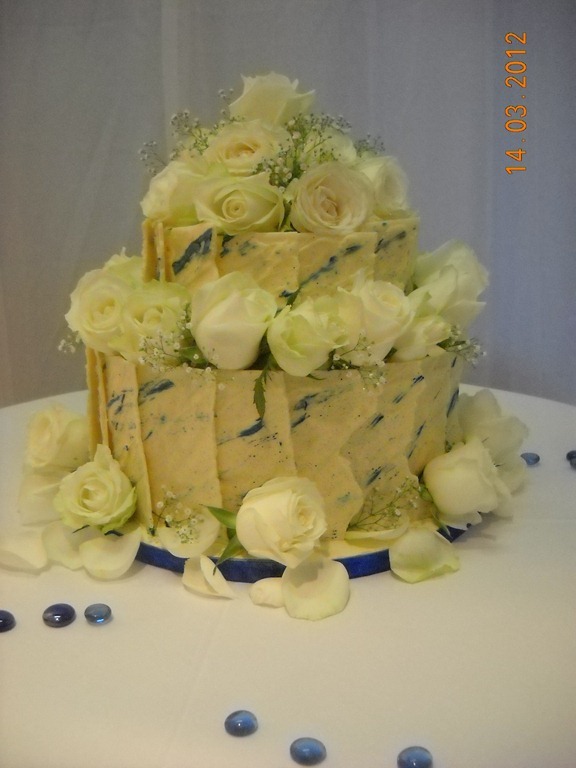 chocolate cake with white chocolate ganache, white choc rectangles with blue cocoa butter paint and fresh roses. 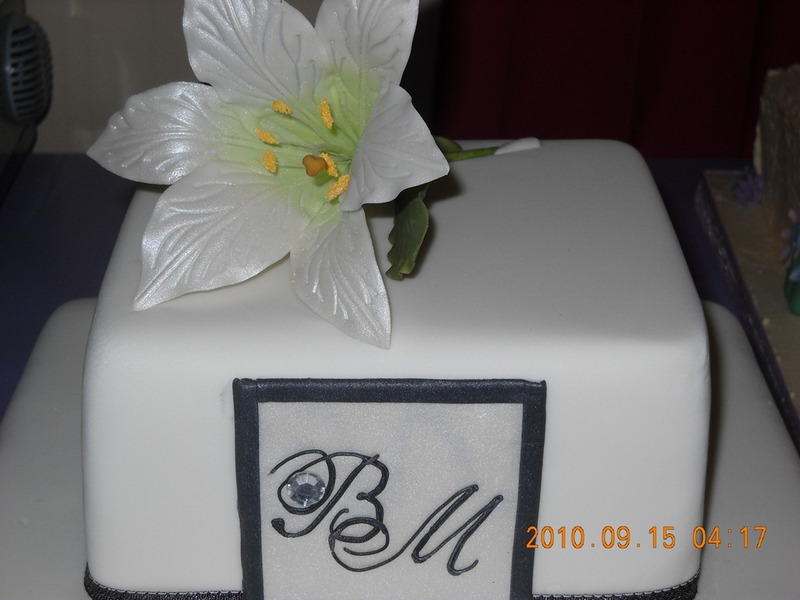 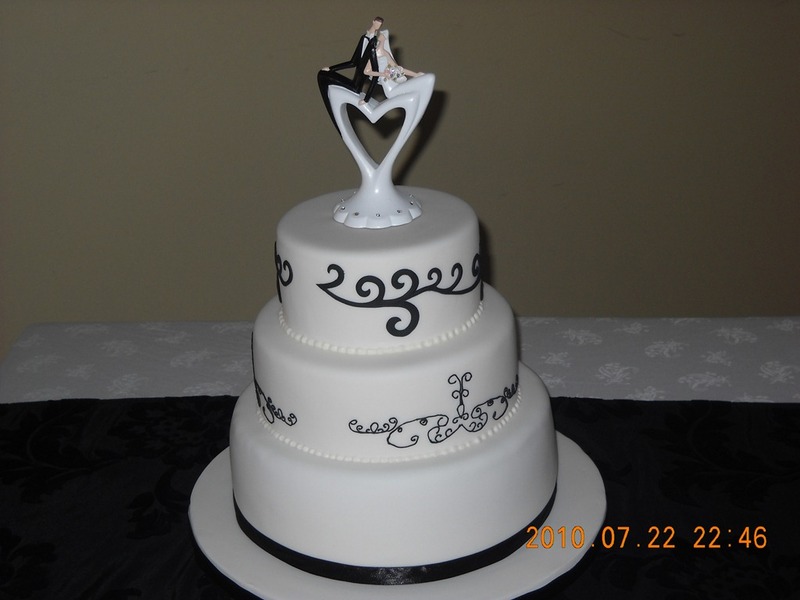 appliqué on middle and diamante on top tier. 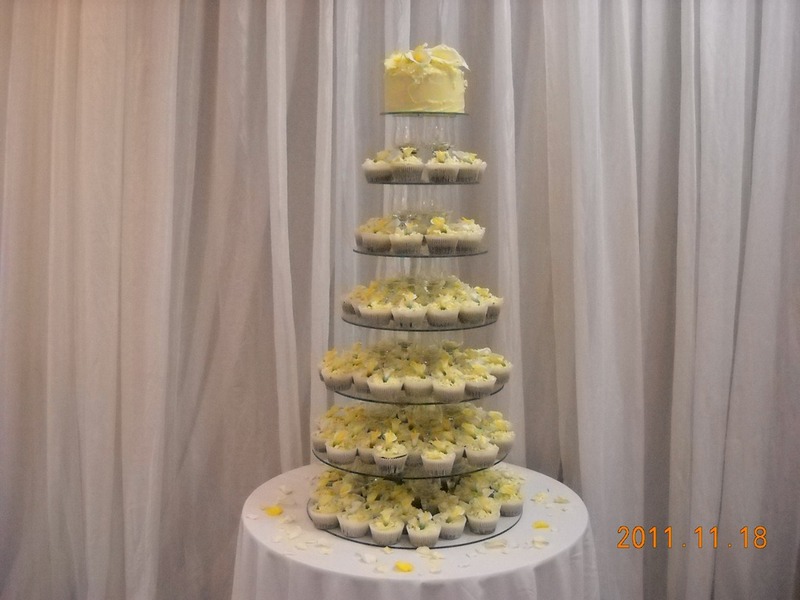 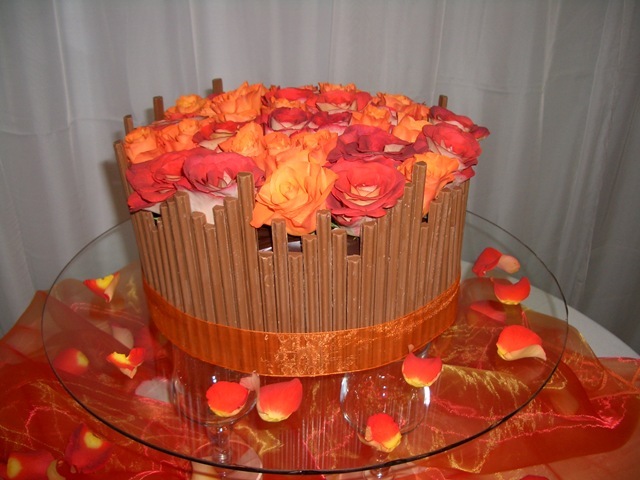 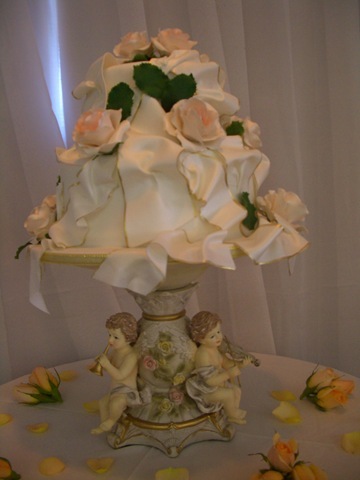 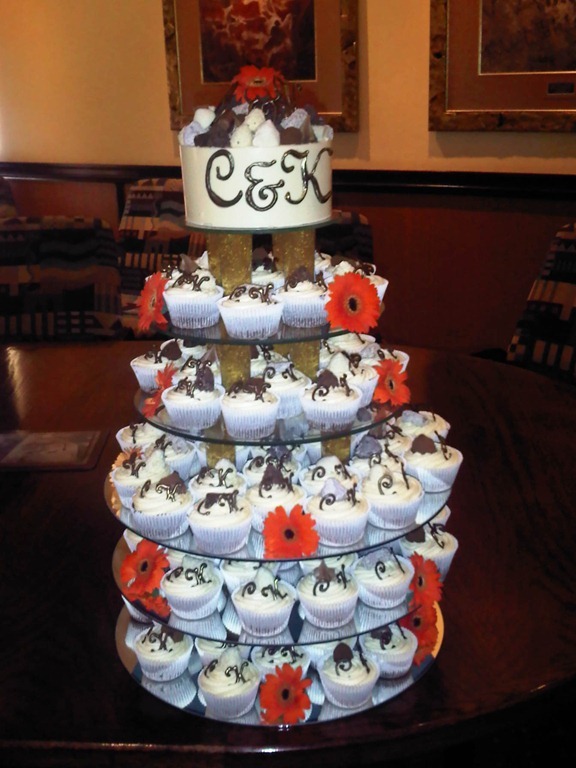 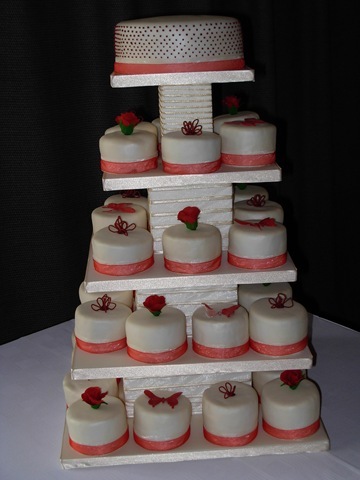 Vanilla and Rum truffle tower with fresh roses at the base. 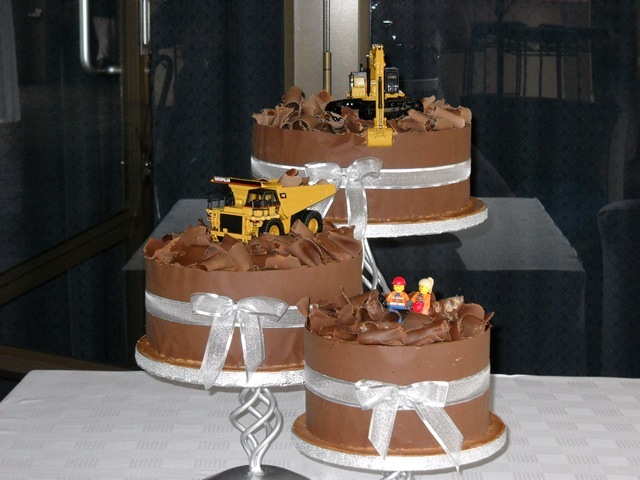 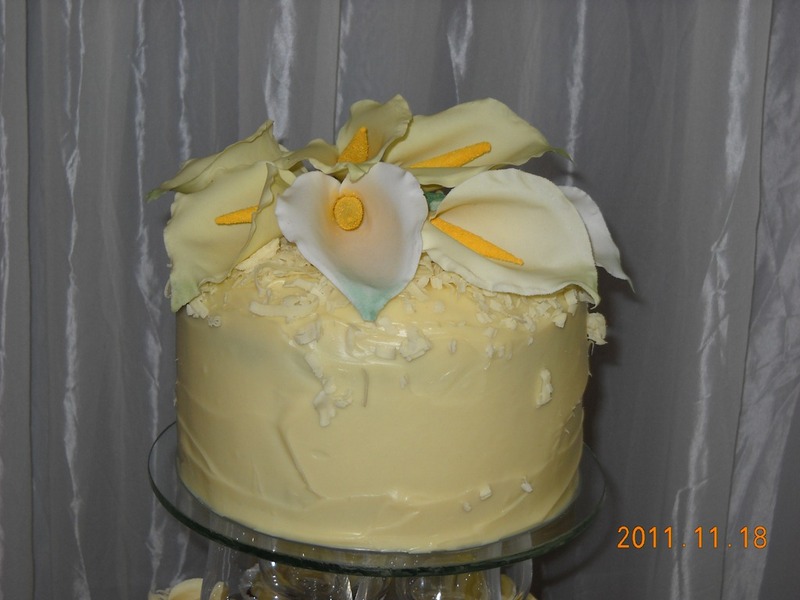 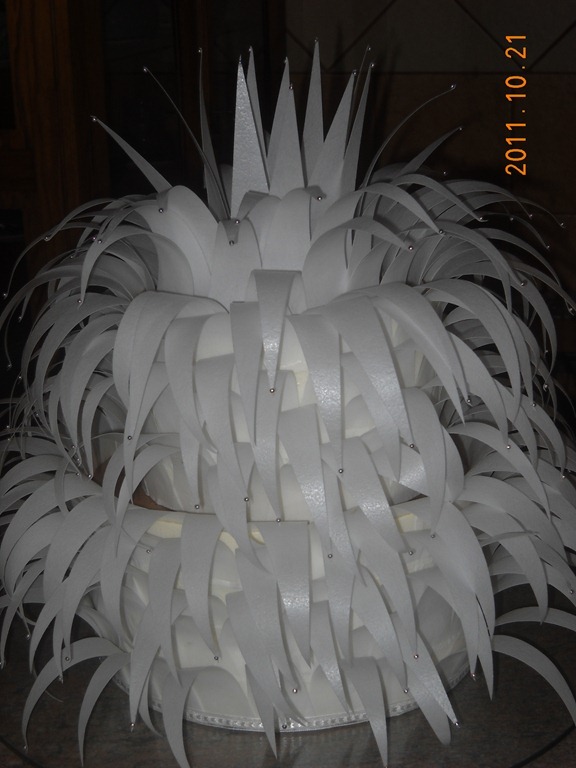 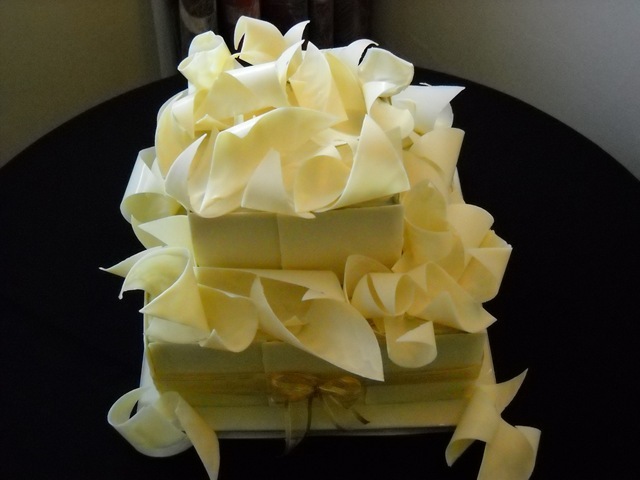 Chocolate cake with white plastic icing with black icing ribbons and sugar arums. 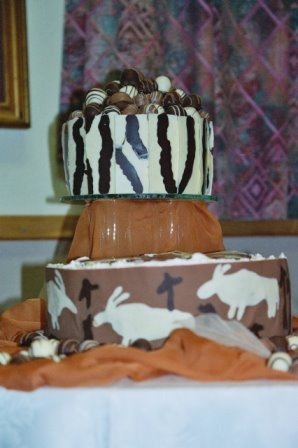 Carrot cake for the groom. 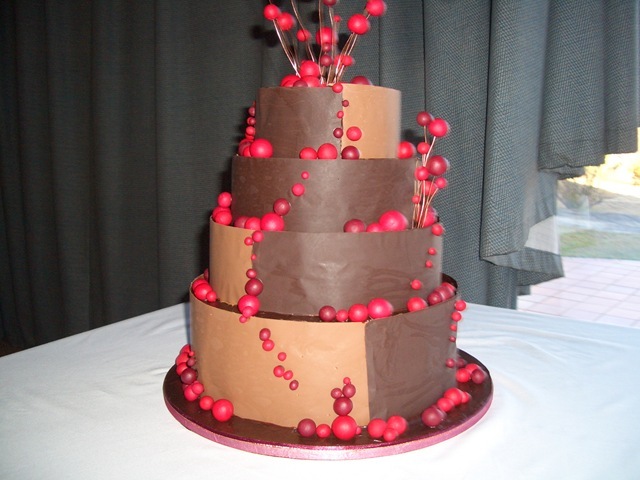 chocolate mousse cake with rice paper around the side with small silver balls. 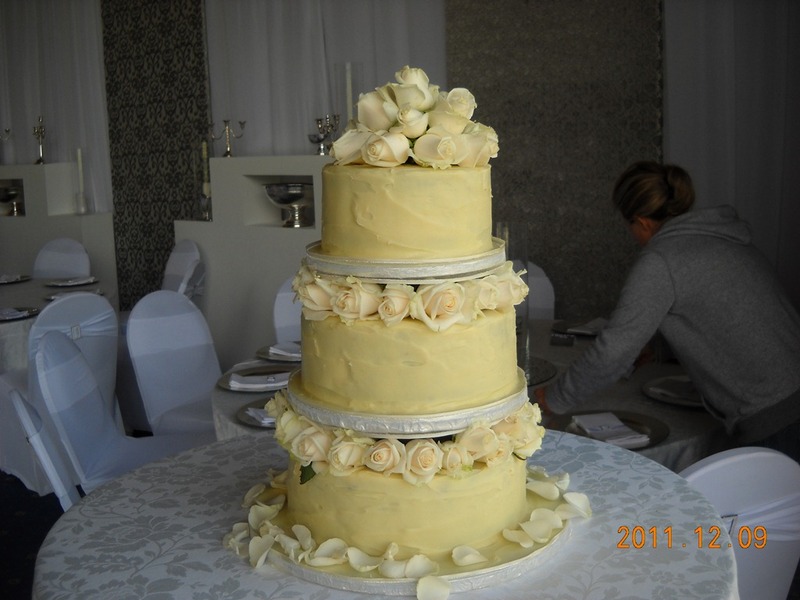 Which is your favourite cake?